Prime is a fantastic company, and it won't take that long to get into your own truck. Lots of bonuses for teams too. Instead of sacking out for the night, I have found myself "reorganizing" my truck. I bought some drawer storage things while I was home last weekend in the hopes that I could clear out some cabinet space and by default, free up the top bunk for a student in a couple of months. I'm beginning to think it's a futile effort. LOL I have even utilized the space under the bunk, and honestly, I don't think I have a bunch of unnecessary stuff just hoarded on the truck! How do you guys that train do it? I hate to admit my stupidity, but I didn't know what it was so I pushed it in WY. I was extremely bored and Old School wouldn't answer his phone. So out of boredom and curiousity I pushed it. Apparently dispatch called me seconds later and I didn't see so it went unanswered. So my QC went crazy with messages so I finally checked my phone and I had close to a dozen missed calls from dispatch, safety, and some security agency from San Diego. I immediately called and confessed my sin to him and all was good. Except he had to spend the next 15 minutes letting EVERYONE know that I'm alive. I have absolutely NO IDEA what you guys are talking about. Is it just a Prime thing? Ha! Absolutely not! I have wracked up more than my share of stupid moments over the past year. No need to add that one to my list. I have seen truckers joking in several Facebook groups about the red button on the dash... Lately I have been staring at it and wondering. Neither of my trainers ever mentioned it. Can someone here fill me in? Hmmmm....that's WAY too much time. I'd work with dispatch to see if the drop appt could be changed or if it could be dropped early. My question was pretty poorly worded. Instead of "What is a day off?" I should have asked "How long is a day off?" Despite some excellent answers, I'm still not following the timing of days off for an OTR driver. If I have 2 days of home time coming to me and get "home" at 3:00 pm on Friday, when is my two days of home time over? Sunday at 2:00 pm, Monday morning, or some other time? With Prime, the day you get home and the day you leave are not considered part of your time off. For example, I recently took four days off (Sat-Tues). I got home about 4pm on Friday and even though my available time was noon on Wednesday, the load I got didn't require me to actually hit the road until 5pm. I just consider that bonus time! 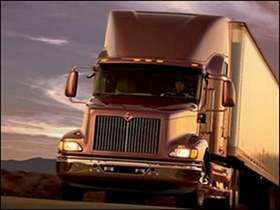 Are there any former teachers/educators turned truck drivers here? I am a teacher turned trucker and honestly wonder why I didn't do this sooner. Taught high school chemistry and physics for 14 years. Got my CDL through Prime last summer and have been on the road ever since. I LOVE IT! I'm so sorry to hear about this. Praying that you find peace and comfort. I have a small microwave, a toaster oven and one of the little egg cookers. Those three things do just about everything I need. Here's one.... One of my first few loads, I had a difficult dock to get into. Took me more than 30 minutes, and I was proud of myself for getting it in there without hitting anything. All was good until they sent the yard guy out to tell me I had backed into the wrong door. When I was in training, we were told to plan to take a turn in 6th gear if we weren't going to have to stop. That seemed to work well for me....got me to 15 mph or less in order to make the gear work. One of the mistakes I made during my test was on the home stretch....took a corner a little too fast and did it one handed because I forgot to get it into gear before the turn. Ended up shifting down at the last second and saving it. Find a mantra or system that works for you, and do it the same way every time. After a while it almost becomes like muscle memory.